It truly takes a team of dedicated professionals to not only find you the perfect home, but also help you and your household goods arrive there safely and quickly. That’s why Hilldrup Orlando is proud to be the preferred mover of Kathy Hereford Homes for Keller Williams Realty. On September 22nd, Hilldrup’s own Rick Locke, Residential Sales Consultant, and Ed Fitzgerald, VP and General Manager of Orlando, attended a networking opportunity to get to know Kathy Hereford, her team, and her clients better. “The event was an appreciation event for the customers of Kathy Hereford Homes. She is extremely successful in Central Florida, and we’re very lucky to be partnering with her,” explained Ed Fitzgerald. Hilldrup Orlando was thrilled to be able to connect with potential clients at the event to share with them how we can make their next move experience the best they’ve ever had, thanks to our wide range of services. 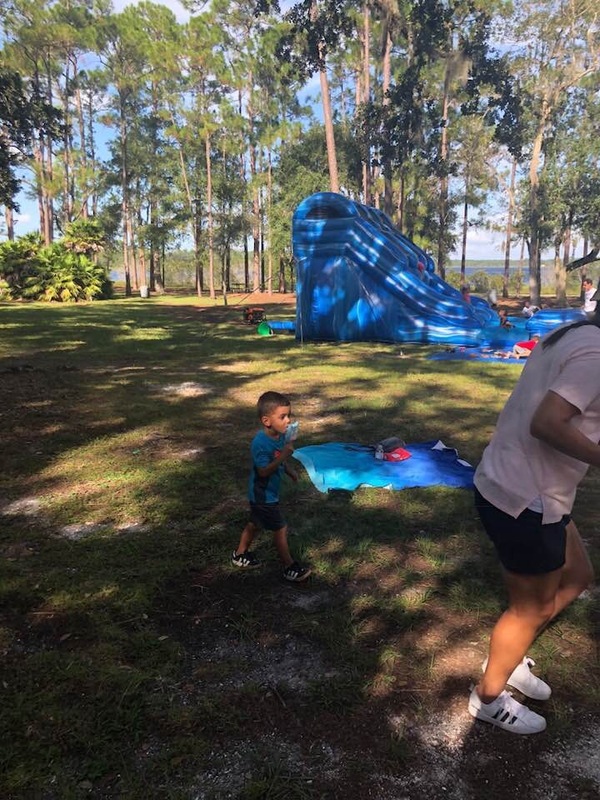 But, it wasn’t all business at the fun event – Hilldrup Orlando was proud to sponsor an inflatable slide for children who attended the event as well. Thank you Kathy Hereford for having us – we’re proud to partner with you and hope to continue being your preferred mover for years to come! 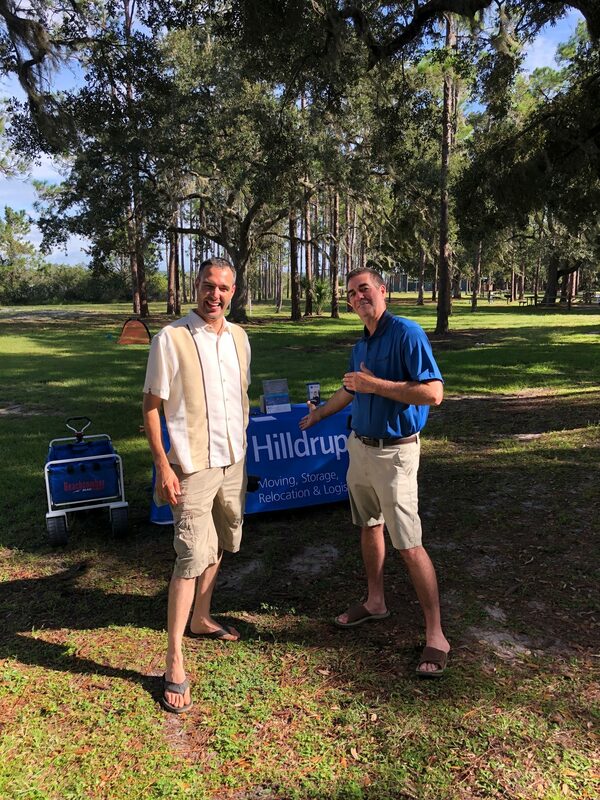 Rick Locke (right), Residential Sales Consultant, introduced Hilldrup’s service offerings to potential customers during the networking and appreciation event that took place in the Laureate Park neighborhood within Lake Nona, FL. 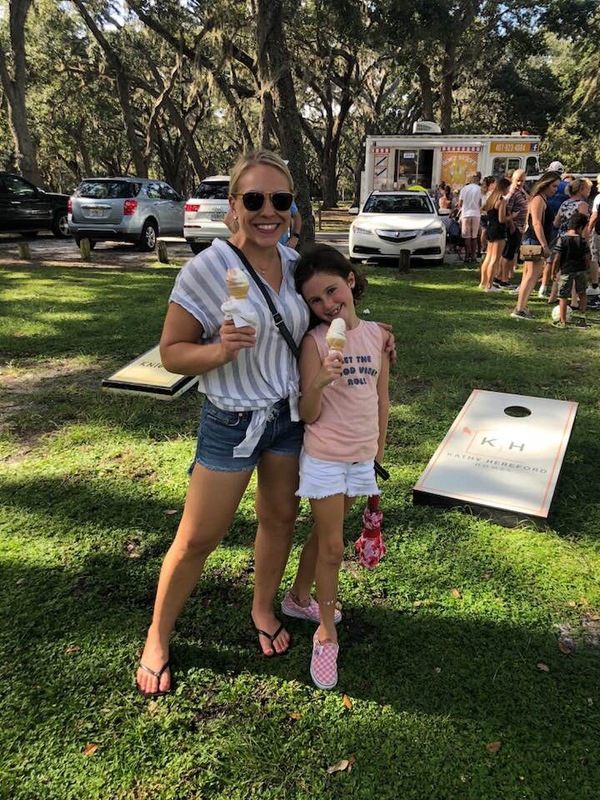 Families had a great time at the event thanks to fun outdoor activities and a visit from the local ice cream truck! Hilldrup Orlando sponsored an inflatable slide for our younger potential customers to enjoy during Saturday’s event.